These iMacs are in Perfect condition. They are from our Affordable Mac Certified Refurbished Programme where we source the very best Quality products with little to no signs of use on them and offer a full 12 Month Warranty. Often they will come with the original Apple box (not Always). They always come with all necessary Original Apple Accessories. We do not always have stock as they are hard to source all the time but we are constantly working hard to keep them in stock. They are of course a little more expensive but worth it. 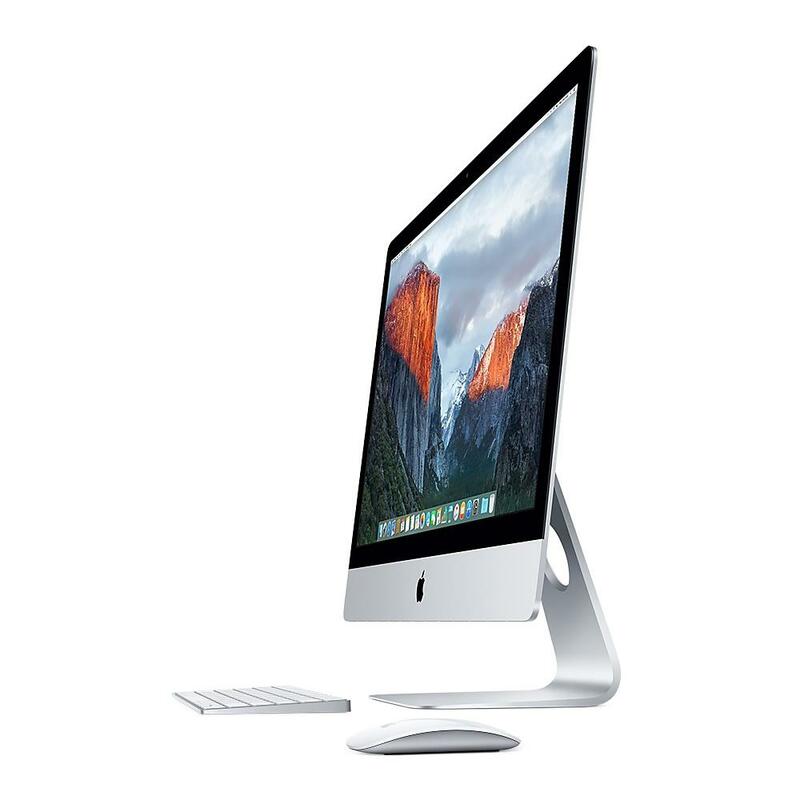 The iMac “Core i5” 3.2 27-Inch Aluminum (Late 2012) features a 22 nm Quad Core 3.2 GHz Intel “Core i5” I5-3470 (Ivy Bridge) processor with four independent processor cores on a single chip, a 6 MB shared level 3 cache, 8 GB of 1600 MHz DDR3L SDRAM (PC3-12800) installed in pairs , a 3 TB “fusion drive” — which combines a traditional hard drive with 128 GB of flash RAM (7200 RPM) hard drive, and a NVIDIA GeForce GTX 675MX graphics processor with 1 GB of dedicated GDDR5 memory. It also has a built-in “FaceTime HD” webcam and stereo speakers, but lacks an optical drive.